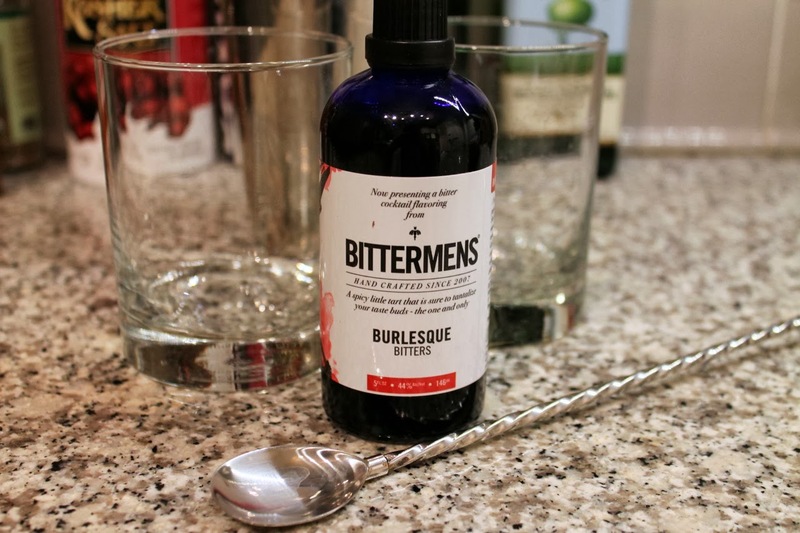 Bittermens Burlesque bitters is one of the more unusual types of bitters I've come across. Bittermens describes it as sweet, spicy and a bit tart, which is about right. It's flavored with hibiscus, açai berry and long pepper. This one's definitely spicy and a little floral. They recommend it with Italian amari, tequila, gin or rum. The Gold Baron was created by bartender Thomas Waugh when he was at Death + Company, a cocktail bar in New York's East Village (he's now at ZZ's Clam Bar). You too can make a large spherical ice cube with the right mold. 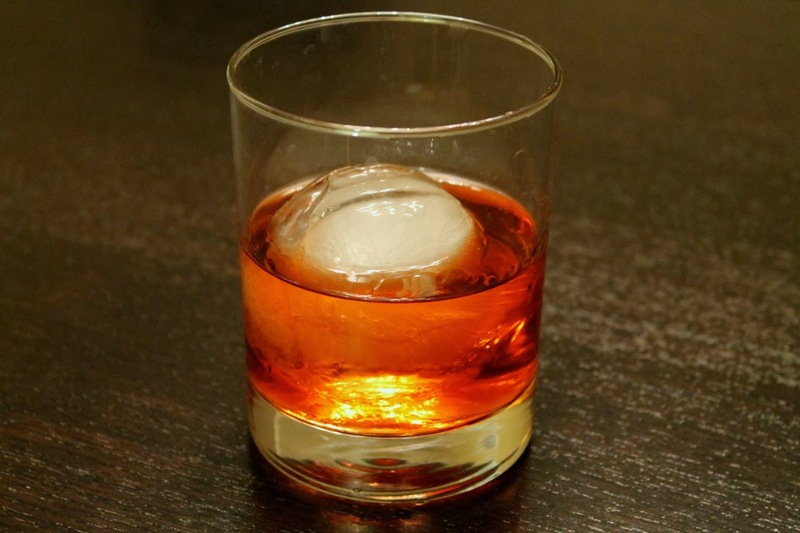 Combine bourbon, apple brandy, grenadine, simple syrup and bitters in a cocktail mixing glass with ice. Stir until chilled then strain into rocks glass with one large ice cube. No garnish. To make simple syrup: Combine 3/4 cup water and 3/4 cup sugar, either in a saucepan over the stove heated until the sugar has dissolved, or in a microwave safe bowl (a glass Pyrex measuring cup works great) microwaved on high until the sugar has dissolved. Store the remaining syrup covered in the fridge (a spoonful of vodka will help it last longer).